Within the Content Manager you have the ability to approve and delete large groups of content from the queue as opposed to one by one. 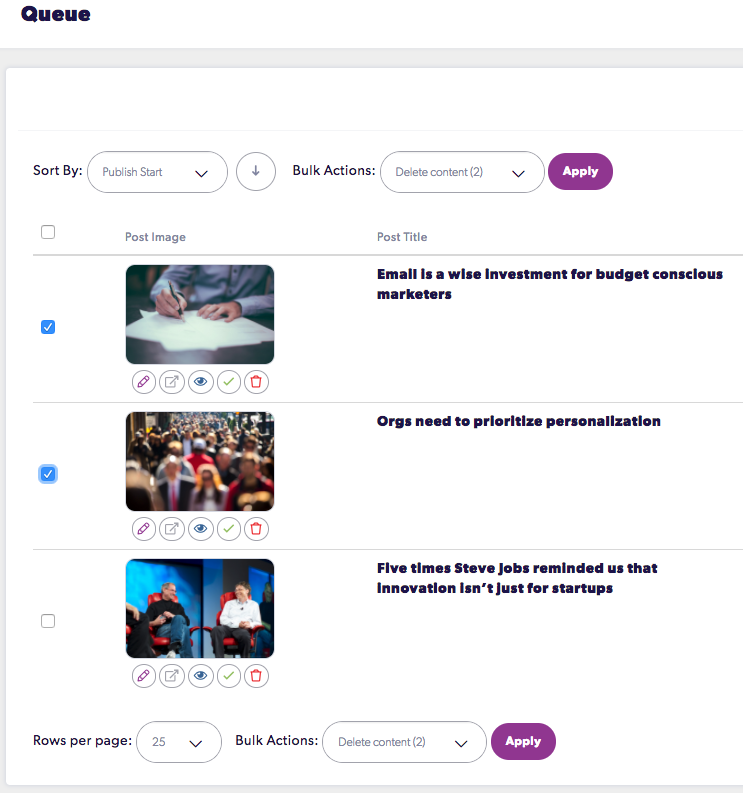 Choosing the check box next to a story will open the bulk actions option at the top of the display, which will provide you with the options to delete all or approve all. Once you click Apply then your action will take place. The check box at the very top left of the table will automatically select or deselect all content within the table.